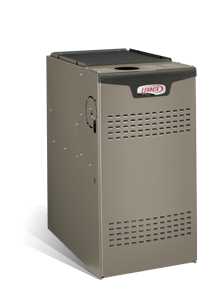 The Lennox Elite® Series EL180E residential gas furnace offered by Logical Heating and Air Conditioning provides efficient gas furnace heating featuring Power Saver™ technology. Stay warm and enjoy great savings on your utility bills with the EL180E residential gas furnace. Through quiet and continual rotation, its Power Saver motor delivers up to 33% greater efficiency than standard motors, which can significantly reduce your heating costs during cold Minnesota winters. Insulated blower compartment minimizes losses and maximizes efficiency and comfort. Special sound-absorbing materials further reduce sound for even quieter operations. *This chart depicts potential energy savings you can expect from the EL180E furnace, versus older furnaces with lower efficiency ratings. Criteria used in this example are 2,000 full-load heating hours, with a 60,000 Btuh heating design load and $1.368 ccf for gas. Your actual savings may vary, depending on the weather patterns in your local area, local fuel rates and your individual lifestyle.